If I were ever asked to provide a list of beautiful nasheeds – this song would be included. 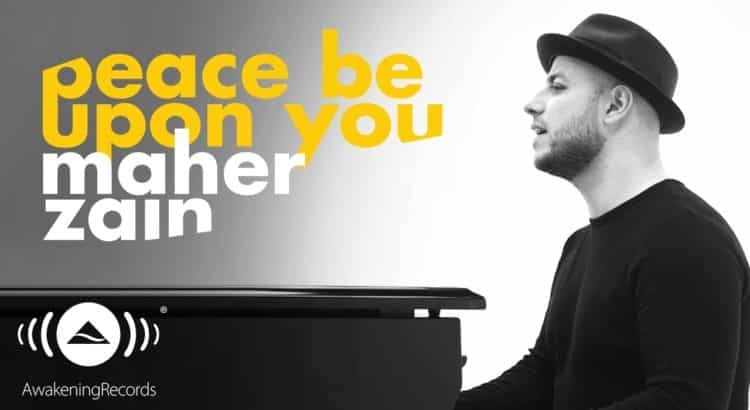 One of the unique things about Awakening Records is that they provide both music and vocal only versions of Maher Zain’s songs. There are differences of opinion regarding musical instruments in Islam, and this approach helps keep everyone happy! As the title suggests the song is about the prophet Muhammed (Peace be upon him), thanking him for what he did and sending blessings. Each messenger came with their own miracle, which varied depending on the people they were sent to, and time they were on the Earth. The prophet Moses (PBUH) came at a time when magic was popular. He performed greater magic than his people by splitting the sea and turning the staff into a snake. The prophet Jesus (PBUH) came at a time when medicine was the craze. He healed the leper and brought people back from the dead, again out-performing his people. The prophet Muhammed (PBUH) was the final messenger to be sent by Allah. He came to the Arabs, at a time when they were most proud of their language. He revealed the Quran, a book with many linguistic miracles. Many of those who heard the Quran became Muslim due to the poetic and linguistic nature of it alone, as they knew this revelation could not have come from a human. Furthermore Muhammed (PBUH) was not only sent to the Arabs at that time, but he was the final messenger sent for everyone who came after him. The Quran also contains many prophecies and scientific facts that we are only beginning to discover today – this is our sign. Following the way of the final messenger is our key to success, and this nasheed really helps us to reflect on his life. Let us now present the lyrics to ‘Peace Be Upon You’, calling out references to Quran and Hadith. Sending blessing upon the Prophet not only benefits him, but also us. Hence why we send blessing upon him during the final part of the prayer. Tracks like this help us reflect on Islam, recall stories from the past and promote good. Not only are the lyrics meaningful but the track is produced really well – both instrumental and vocal versions. My rating can be found below. You may leave your rating using the star system under mine. Feel free to comment – do you prefer the instrumental version or voice only?